Specialists in corporate psychology, forensic assessment and private developmental psychology. If you want a healthy, happy and productive workforce paying attention to employee well-being and mental strength is essential. When you want to change the way you think and behave our tailor-made developmental, treatment and support packages are focused on helping you within the theoretical framework of psychology. Offering you workshops and training that investigate all areas of psychology. Embracing established methods and exploring new possibilities for individuals and business. 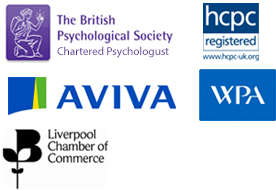 Experienced and highly qualified, North West Psychology offer you a wide range of bespoke services in one location.